BOSTON--(BUSINESS WIRE)--Future continued growth in demand for location services will come from the automotive industry, enterprise, Internet-of-Things (IoT), and providers of mobility services, as the importance of location is increasingly recognized by companies operating in these sectors, according to Strategy Analytics’ Wireless Media Strategies (WMS) report “Automotive, Enterprise, IoT, and the Mobility Sector to Drive Future Location Sector Growth.” Furthermore, in Strategy Analytics’ annual benchmark of global location companies, Google, HERE, Mapbox and TomTom, both Google and HERE demonstrate leadership and strong capability across most attributes, while Mapbox and TomTom demonstrate strengths in a variety of others. 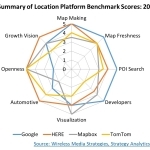 Strategy Analytics’ study also assessed the strengths and weaknesses of global location companies, Google, HERE, Mapbox and TomTom, across characteristics including map making capabilities, strength in automotive, map visualization, appeal to developers, and openness and flexibility. 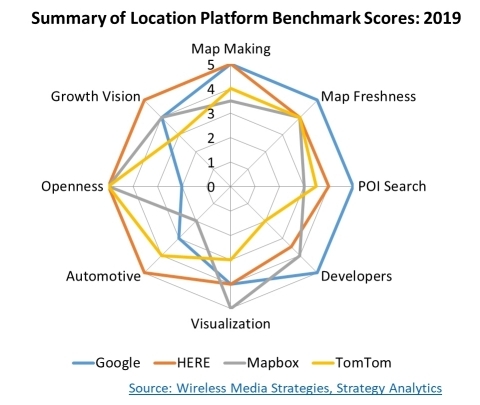 Google and HERE lead in map-making capabilities, with Google also leading in local search and developer reach. HERE also leads in automotive and industry growth vision, and scored strongly in other areas. 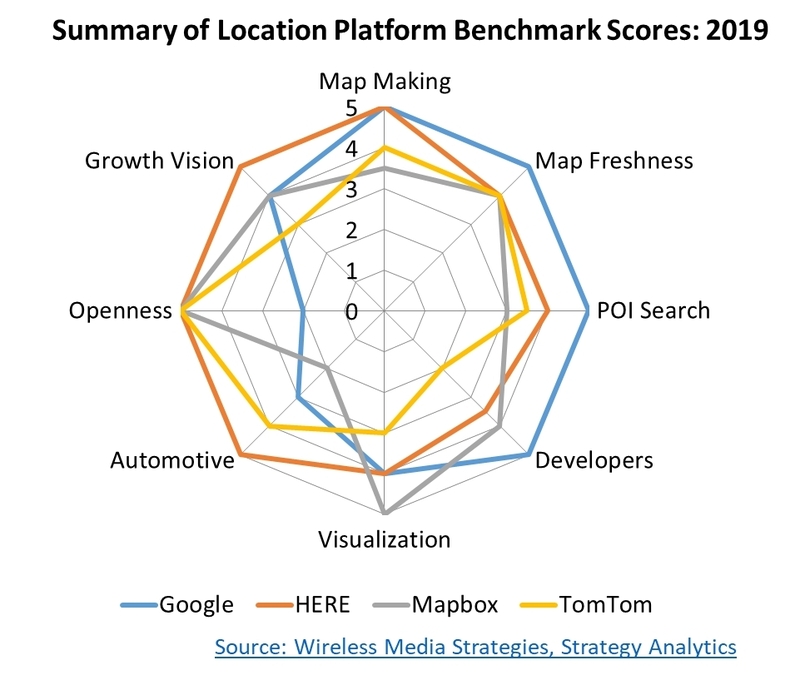 Mapbox stands out in visualization and strongly with developers, while TomTom is strong across multiple areas.